Will you help a student in Africa prepare for gospel ministry by giving to the CABC Scholarship Fund? 2016 degree graduates coming from Zambia, Malawi, Ghana and South Sudan. 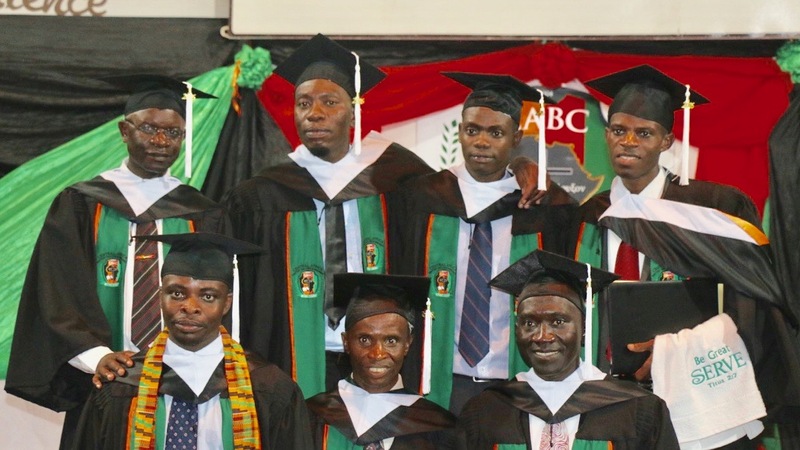 By giving toward the CABC scholarship fund you make a direct contribution to the training of African leaders preparing to evangelize, make disciples and plant churches across Africa. Students accepted to CABC meet strict academic and spiritual admissions criteria. The total cost to educate one student at Central Africa Baptist College is $3,500 per year. Most regions in Africa face great economic challenges. Our students come from a variety of economic backgrounds across Africa. 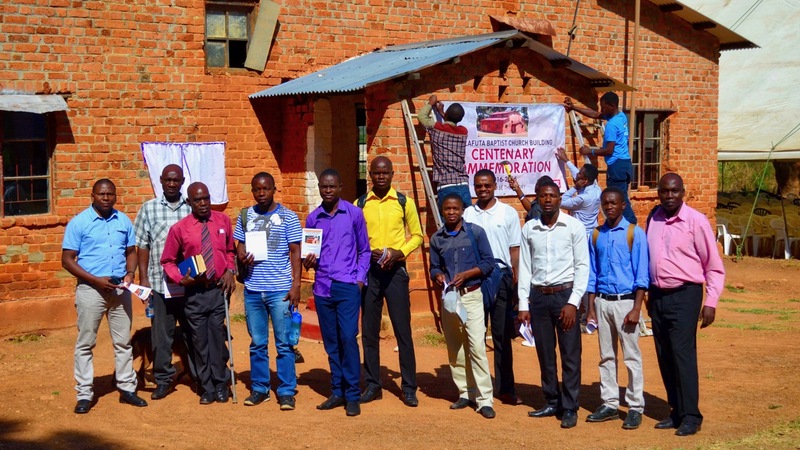 Often students applying to join Central Africa Baptist College face opposition from family who believe they are wasting their life preparing for ministry. Financial help that they could give is often withheld from the student. Each accepted student is evaluated based upon real need. The student fills out an economic worksheet showing how much they can pay toward their tuition fees, how much their sending church will give, and how much their extended family has committed to contribute. The Scholarship Committee may award the student a one-time financial grant, a scholarship and/or a work study scholarship.” Most students applying to CABC will need some level of scholarship help to meet their tuition costs. 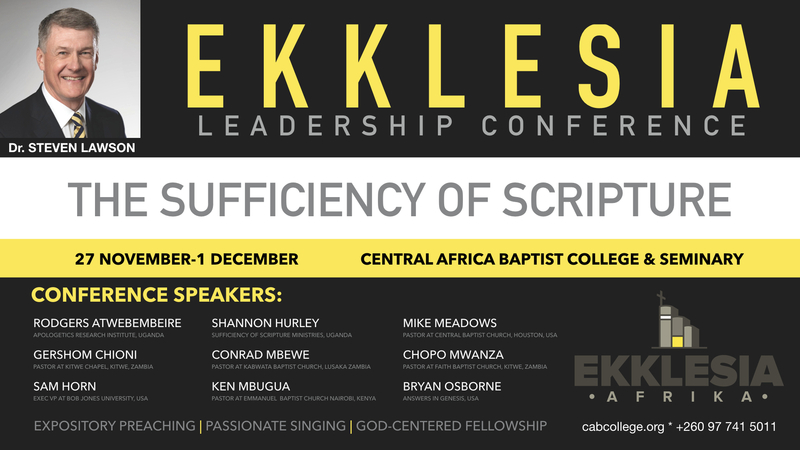 By giving toward the scholarship fund, you are make a direct contribution to the training of African leaders who are preparing to evangelize, make disciples and plant churches across Africa. 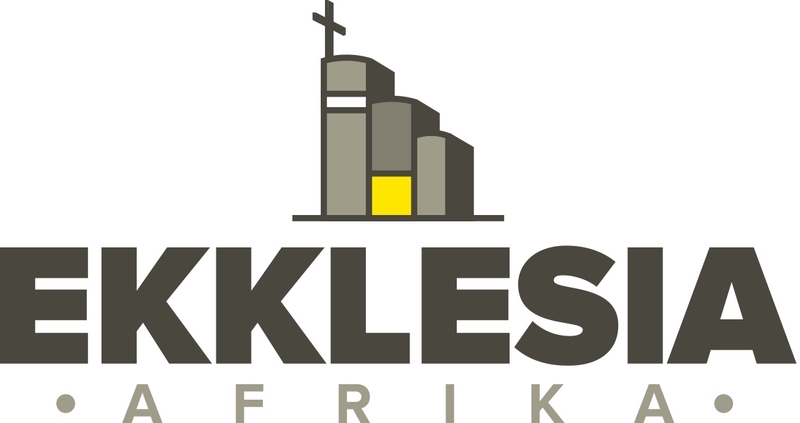 A gift of any amount directly impacts gospel ministry in Africa, and 100% of the contribution goes toward student tuition needs. Will you invest in the life of a student in Africa preparing for gospel ministry by giving to the CABC Scholarship Fund? The advance of the gospel results in the planting of new churches in places and among peoples who have none. The church planter is called by God to evangelize, disciple by teaching new believers to obey all that Christ commands. We long to see healthy reproducing churches planted among the nations. No one wants to make mistakes, least of all when gospel advance is at stake! Though we seek to avoid them?mistakes are valuable if we learn from them. Here are five church planting mistakes that we should seek to avoid at all costs! Failure to build trust in the people you are ministering to will result in failure to produce a healthy, reproducing church. The gospel by its very nature is based on trust. We are calling men and women to put faith in God. When we do not develop healthy relationships with the people we minister with and the people we minister to our ministry is headed for failure, it is only a matter of time. One problem missionary church planters face is that most missionary training focuses on competency development (evangelism, church planting, discipleship, literacy, medicine, etc.) to the virtual exclusion of initiating and sustaining cross-culture interpersonal competency. There are not short-cuts to building trust – you have to invest your life and that means a huge investment of time! Taking back what you gave away. The missionary church planter may be tempted to take back responsibilities that have been entrusted to faithful men. This is often during a period when the church planter is near enough to see the struggles that are being faced. This will always hinder the forward progress of the work. The adolescent church must learn to stand on its own and trust God’s grace to navigate difficult situations. Developing ministries or programs beyond the ability of the mature congregation. This mistake is not unique to western missionaries living in far flung corners of the globe. Local churches engaged in missions face the temptation to bring resources and programs to a church plant that may be beyond the ability to the mature congregation to maintain. Once a financial responsibility has been taken by the church plant it must not be taken back by the mother church. In this way the body learns to trust God and sees the importance of obedience and personal involvement. Develop the church plant only to the degree that the local assembly will be able to handle financially and capably (I Cor. 14:4). Programs and equipment that are beyond the means of the mature assembly are in the end counter-productive to the goal of a self-supporting church. We dare not establish local churches that will require continued outside?involvement. Assuming that local Christians cannot do it. There is a tendency to evaluate the capacity of a people group in relation to the context of the sending culture. 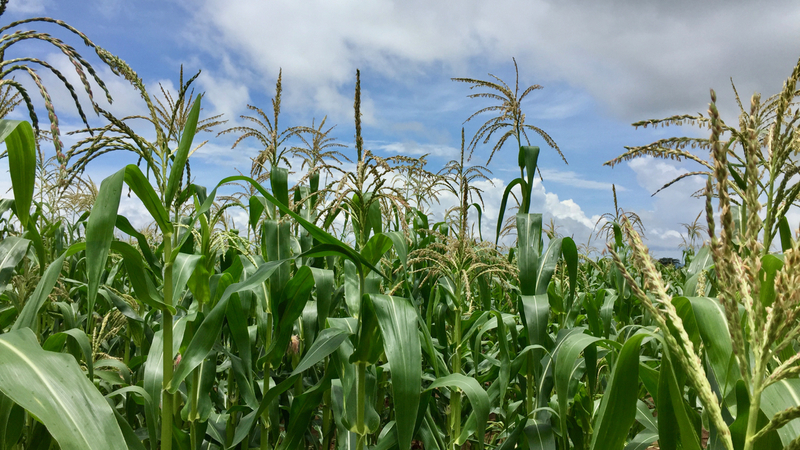 When a local church in town seeks to plant a church in the rural area the preconceived idea is often that the believers in the new church plant cannot carry the work of ministry forward. If they really can’t do something its most likely because they shouldn’t. Not every possible ministry is one that should be attempted. If it is not something that the mature assembly can handle, then it shouldn’t be done. Underestimating the power of God. We often underestimate God’s power in the lives of those we minister to and with. Paul made an astounding statement to the new church in Rome when he wrote in Romans 15:4, “Now I myself am confident concerning you, my brethren, that you also are full of goodness, filled with all knowledge, able also to admonish one another.” Paul was confident that God’s power was active in the lives of these new believers and that through the working of the Holy Spirit within they would competently carry out ministry to one another! Christ is still building His church around the globe. No people group or location is outside the power of God to establish a thriving, reproducing local church.